What codec or codecs are best for video capture and video editing applications? What codec or codecs achieve the best compression ratio? What advantages multithreading gives to modern codecs supporting it? Only absolutely lossless codecs were examined in this comparison. Only progressive test video sequences were used. In Video Capture and Video Editing Area the overall clear winner is Lagarith. In Maximum Compression area the overall winner is YULS. 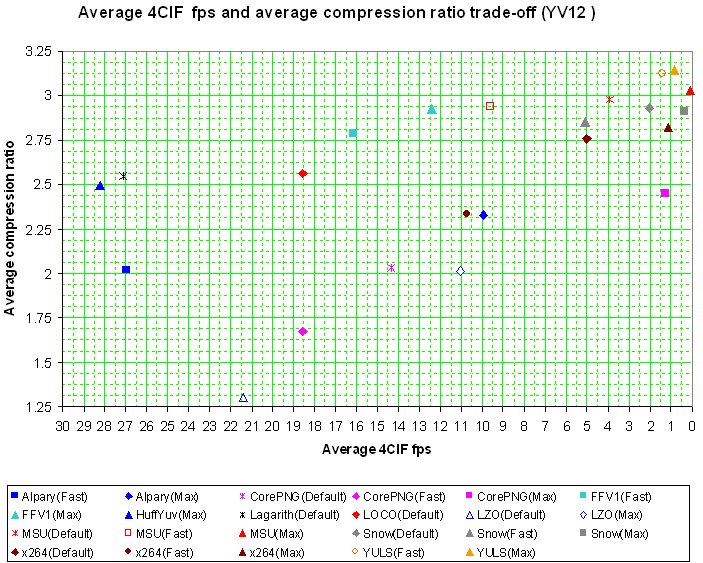 The most balanced and flexible codec is FFV1: relatively good speed and high compression for various presets.